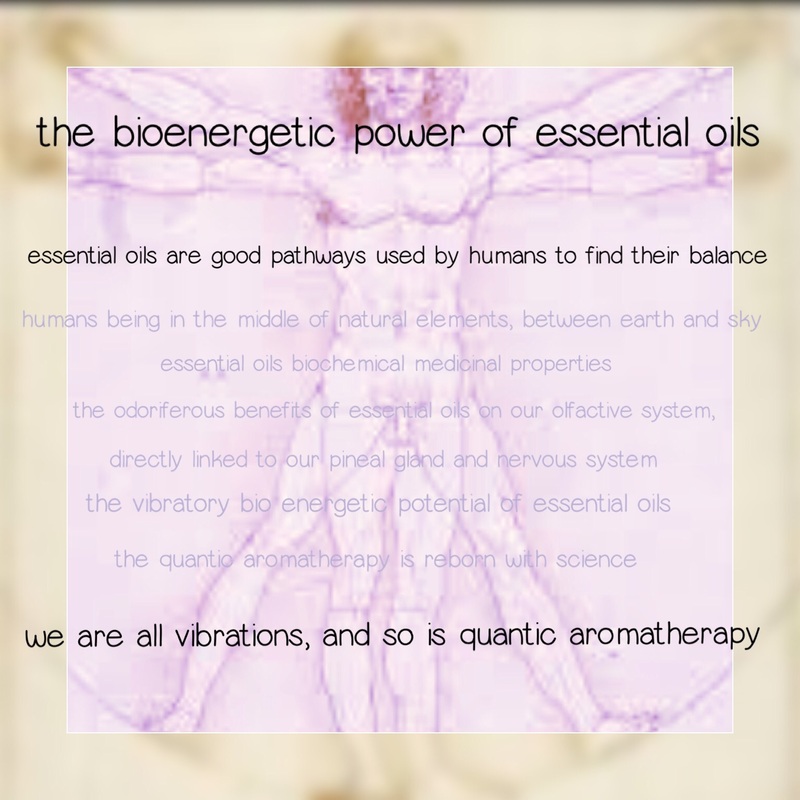 Isn’t it weird to talk about bio energetics when talking about essential oils? My post today will help you to understand why essential oils seem magic, are offering energetics benefits, and are in fact….magnetic reactions. We all know that any substance, natural or synthetic, is made up with atoms. We are all made up with atoms…presenting positive or negative charges….and they bond together upon their (electric) affinities….so are essential oils too. So, a well trained aromatherapist will know, thanks to the structure and composition of an essential oil, what will be their benefits, how essential oils will help us. The simplest way to explain it, is by saying that essential oils are magnetically (or electrically) positive + or negative -. If essential oils’ molecules are positive +, they will be tonic and stimulating. acting by calming all the systems above. For example, a very negatively charged essential oil, will have an extremely calming effect on the nervous system. One famous oil which is largely charged negatively is the lemongrass or Melissa Officinalis essential oil. This oil has a well known nervous system sedative benefits, this oil will have a strong anti viral activity (confirmed by scientific trails in labs). It is also a good anti inflammatory as well as a local pain killer. What is the vibratory aromatherapy? 4-The vibratory bioenergetic potential of essential oils, also called quantum aromatherapy. I like the fact that essential oils have complementary benefits and interactions. I like the Whole Holistic Aromatherapy. You can find a lot of informations concerning essential oils’ biochemical, odoriferous and energetic aspects in many of my posts. What do you think of this new aromatherapy approach? What is the Edgy New Trend for Make Up Pigments? How Did I Save My Daughter’s Life With Plants?